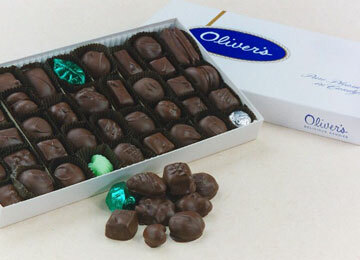 When you purchase a box of Oliver's Chocolates, you will always get the best tasting, most mouthwatering chocolate you have ever eaten. We guarantee it. Our special blend of chocolate is remarkably enjoyed and sought after by people from all over the country. 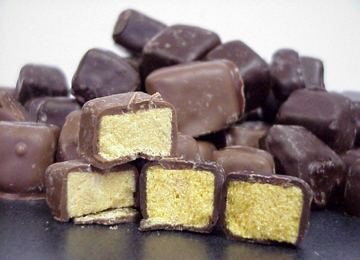 The candy we make is so rich, yet so subtle, it's absolutely delectable. 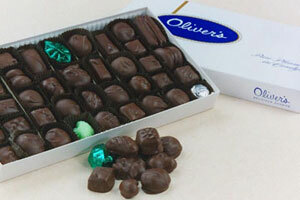 Oliver's chocolates are notably different from any other chocolate you have ever tasted. It's a discernible difference - one that influences your palate, and keeps you coming back for more! 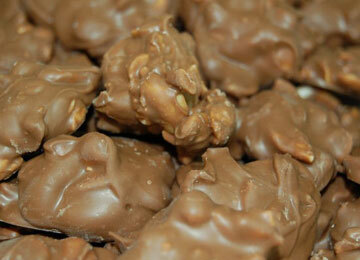 Try our new Maple Peanut Brittle, made with real maple syrup! If you love our original peanut brittle, you have to try our new maple peanut brittle. Made fresh using the highest quality peanuts, caramelized sugar, corn syrup and butter. No additives or preservatives. Light honey combed center drenched in Oliver's rich Chocolate. An item unique to Western New York. A melt in your mouth experience available in Milk, Dark and Assorted chocolate.